Check out Tobi's Golden Child Sweater Your closet needs a winter refresher ASAP. 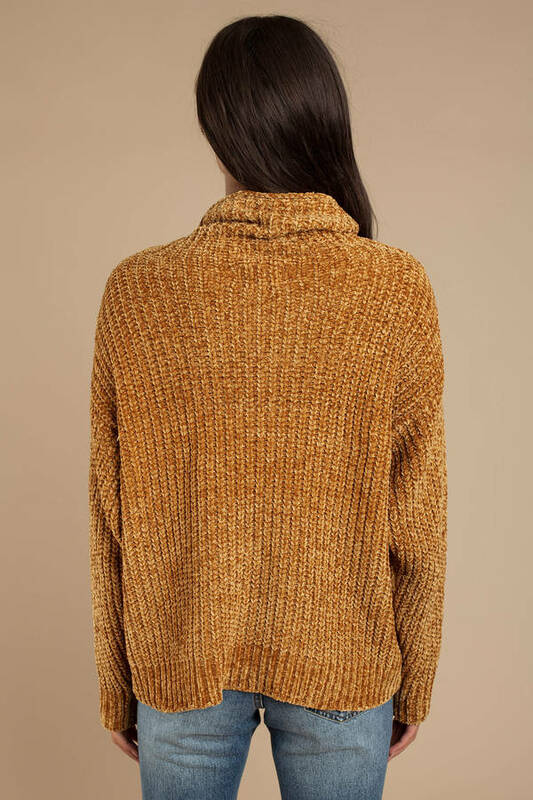 Grab Lost + Wander's Golden Child Mustard Sweater to update all your winter looks. This gold sweater features gorgeous chenille, long relaxed sleeves, turtleneck, and cable knitting throughout. Pair this turtleneck sweater with skinny jeans and thigh high boots. Your closet needs a winter refresher ASAP. 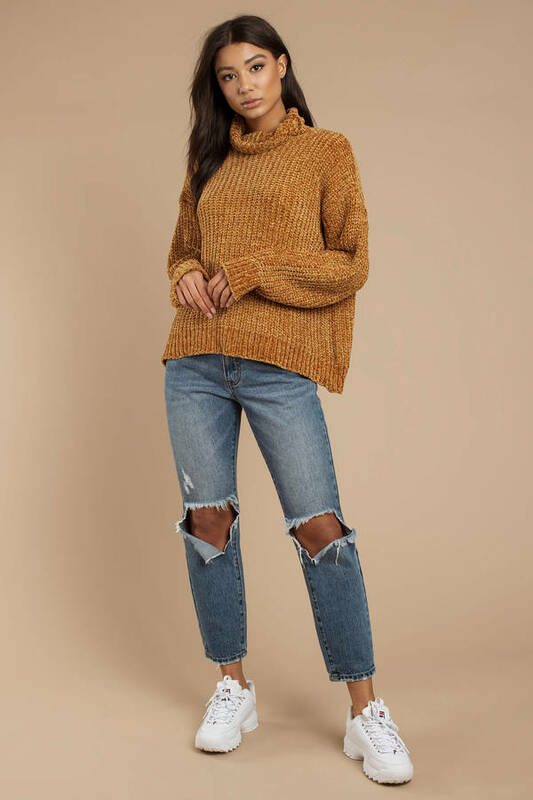 Grab Lost + Wander's Golden Child Mustard Sweater to update all your winter looks. 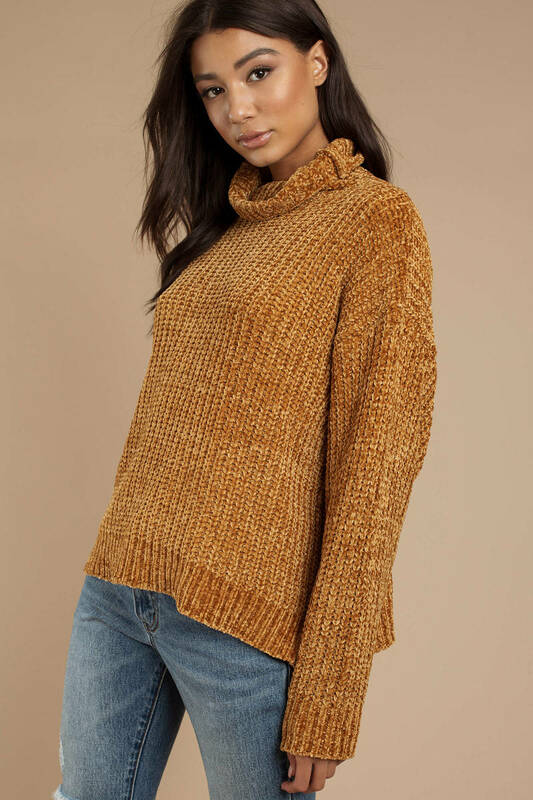 This gold sweater features gorgeous chenille, long relaxed sleeves, turtleneck, and cable knitting throughout. 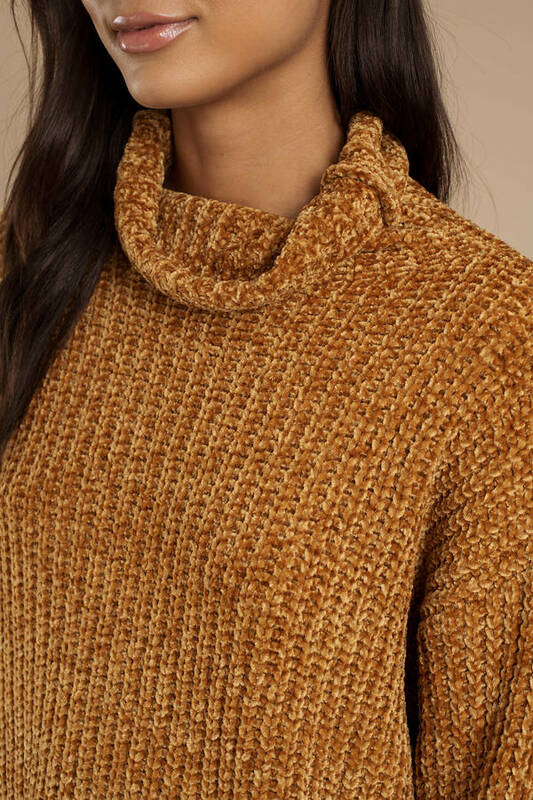 Pair this turtleneck sweater with skinny jeans and thigh high boots. Mustard modeled on a size XS/Small.